A bit too Goliath Gang de-40ked for my taste. I like them Darkoaths as a new interpretation on the same sort of barbaric characters that were Chaos Marauders. Agreed. I could see doing a whole party of them for WQ or and RPG. 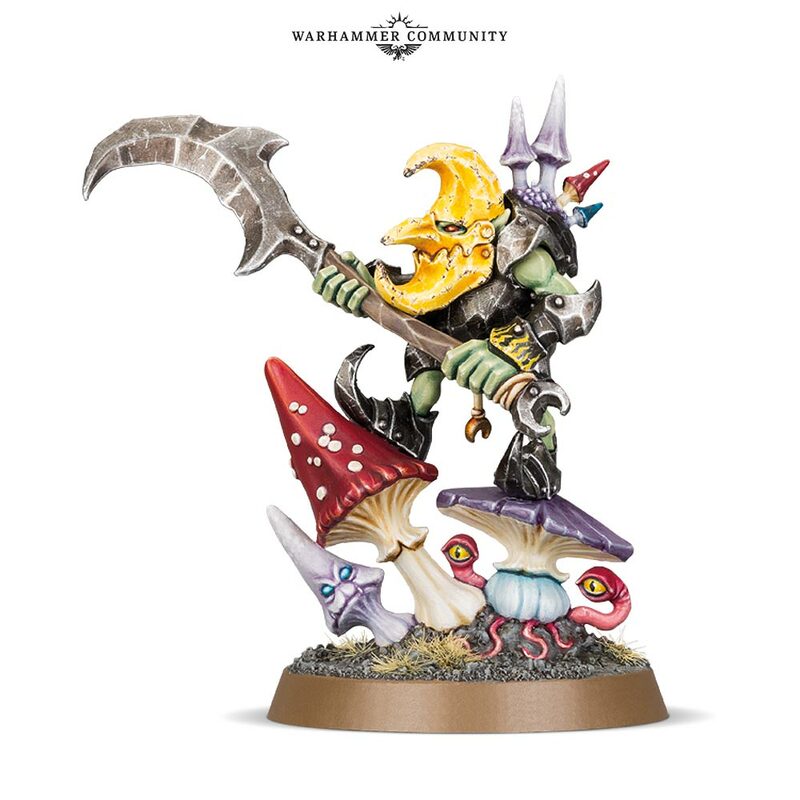 Of all the armies of WH, the night goblins/moonclan are my favourite. Very happy to see this developing. 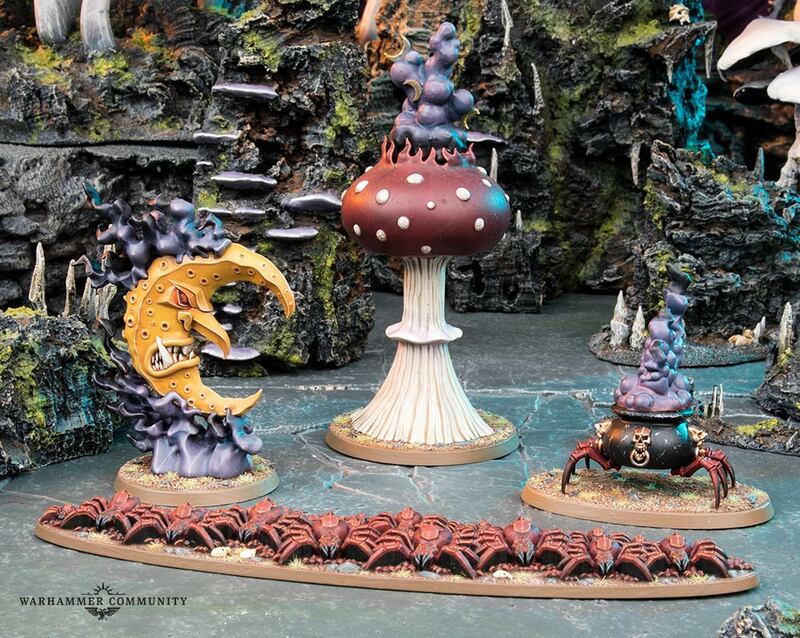 There is talk of the new battle tome including moonclan, spiderfang, troggoths and gargants. 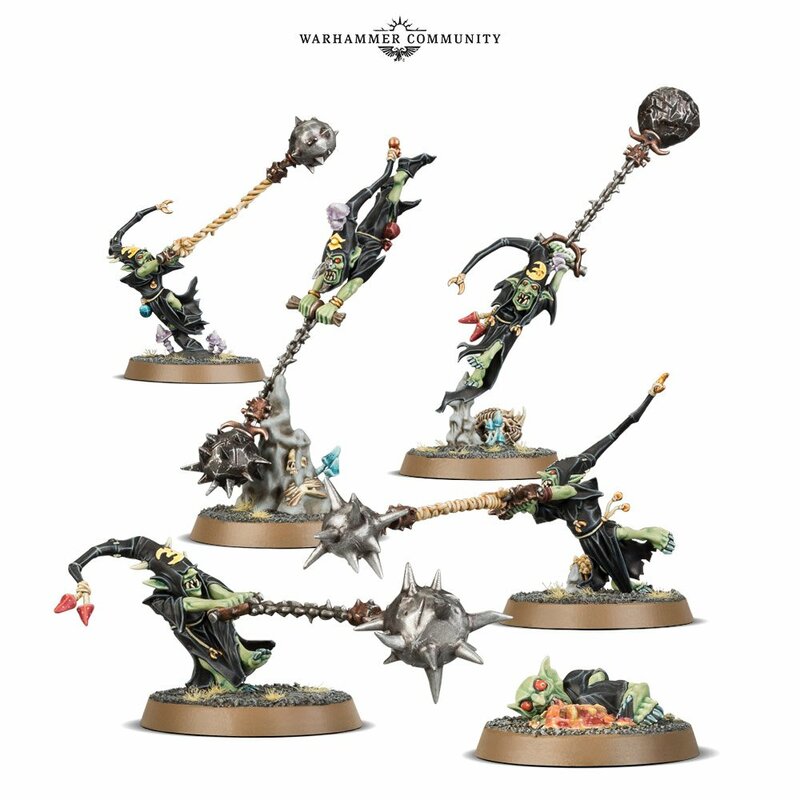 New manglers, and a host of incredible new models. This will be a must I think. These new models are awesome! 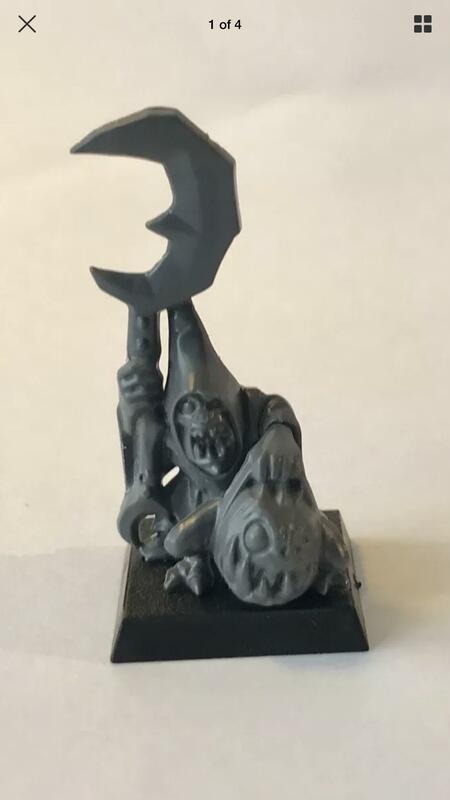 I do have the unpainted Night Goblins set from Skull's Pass lying around. I will get around to paint those and later see if I feel the need to expand the force. 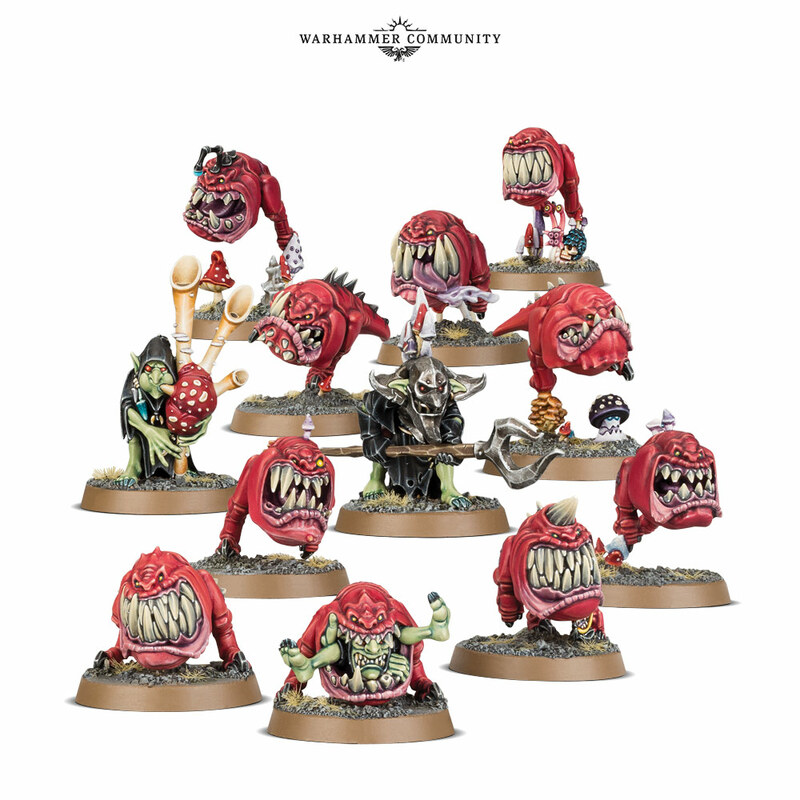 Those Squigs looks great, so I'm very much tempted to. 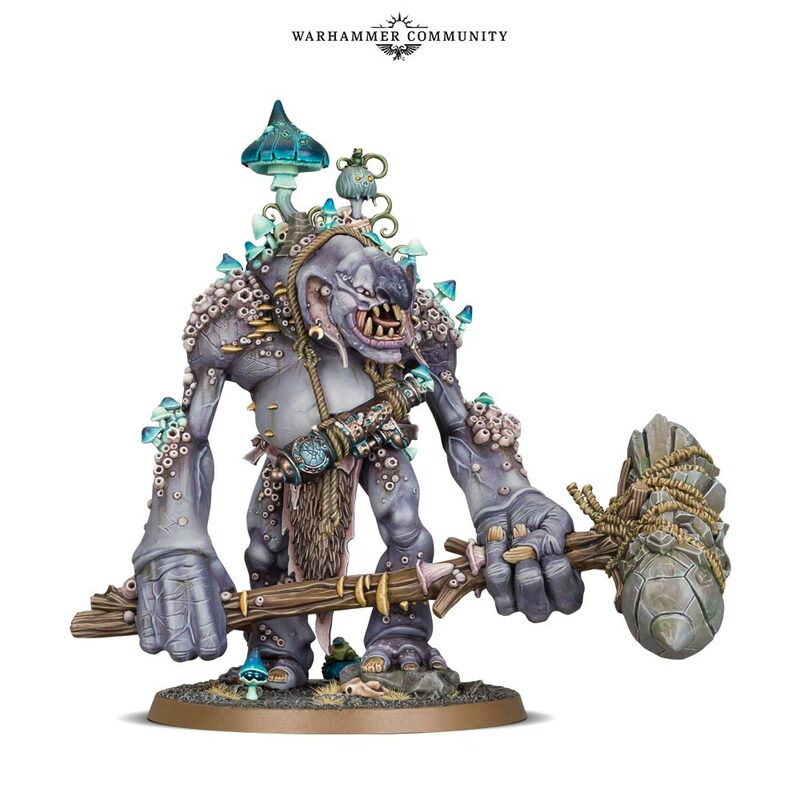 I just hope that they don't make the new plastic trolls as asymmetrical as the one from Underworlds. Just posted in the community. 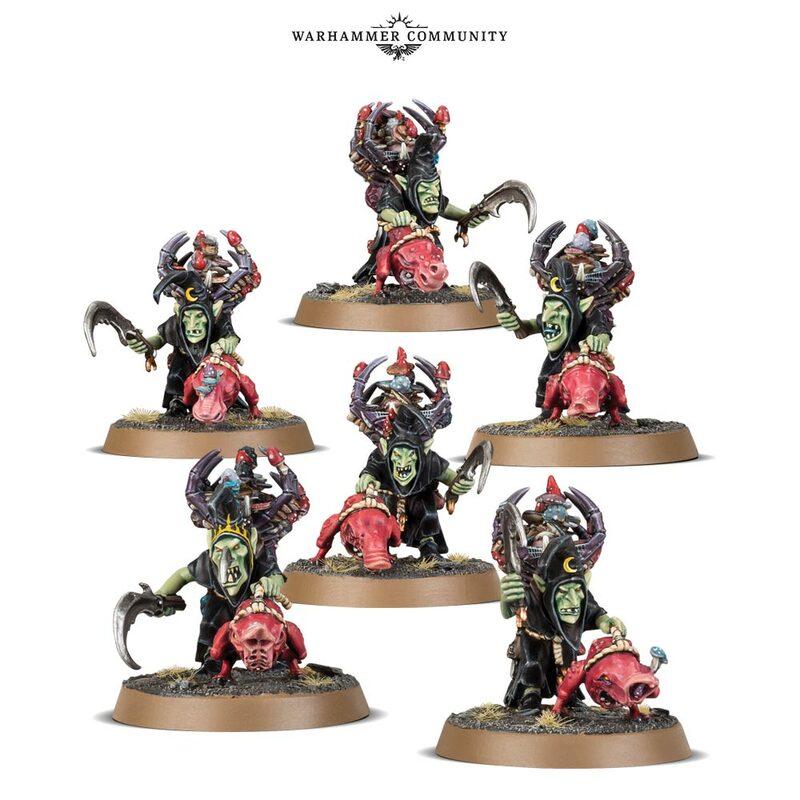 New troggoths and the ability to have a troggoth army. They have gone to town with this release. By the time they get to free peoples its going to be crazy. The whole night goblin, spider/forest goblin, troll and giant factions under one roof to do what you like. 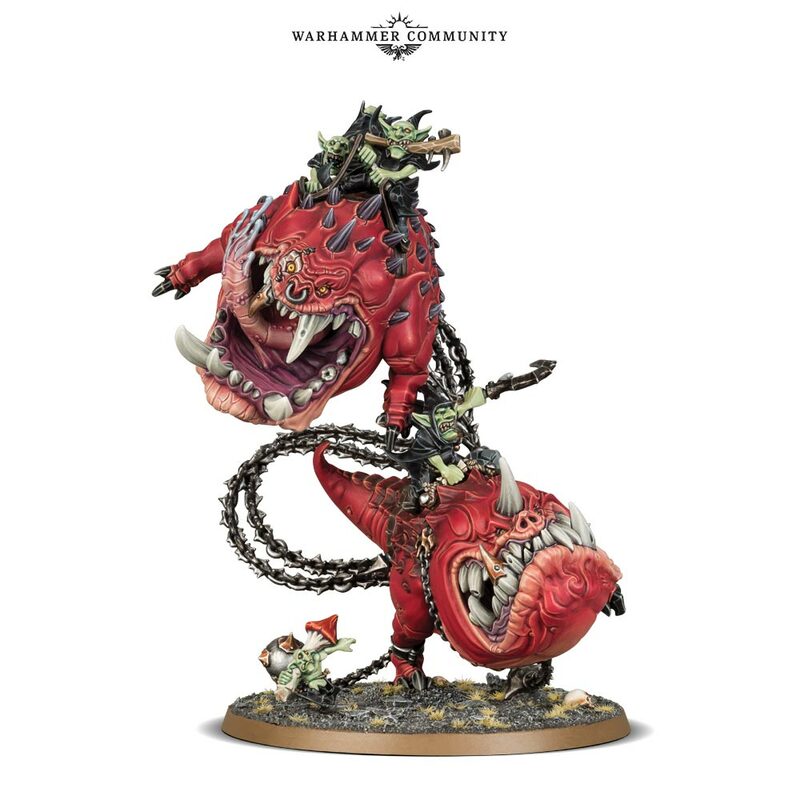 I think this has been the best release of AoS so far. 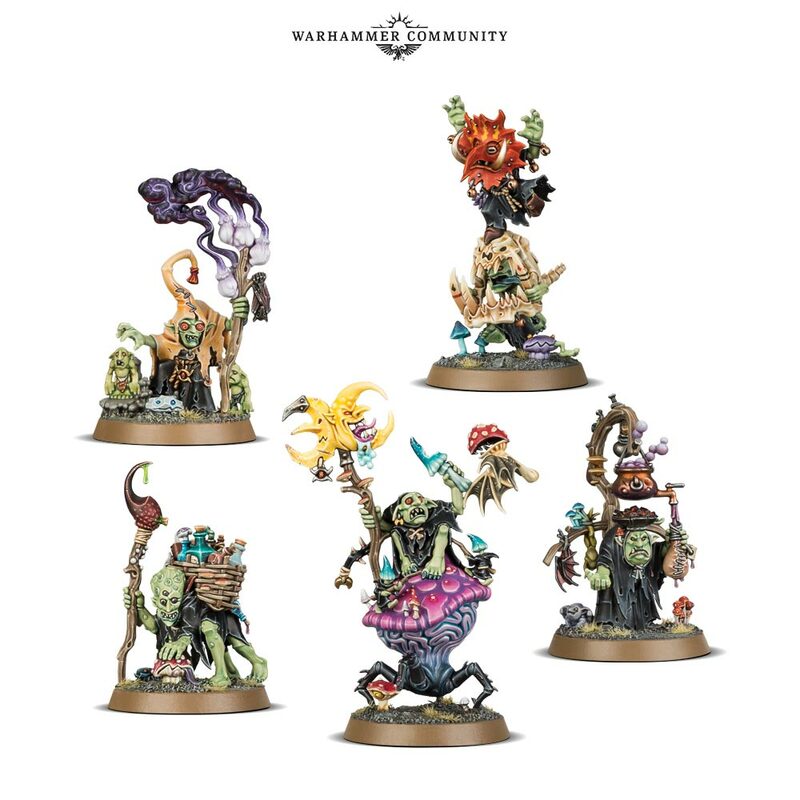 It's nice to see that they are sort of staying true to the roots of Night Goblins and not going overboard with the revisions. 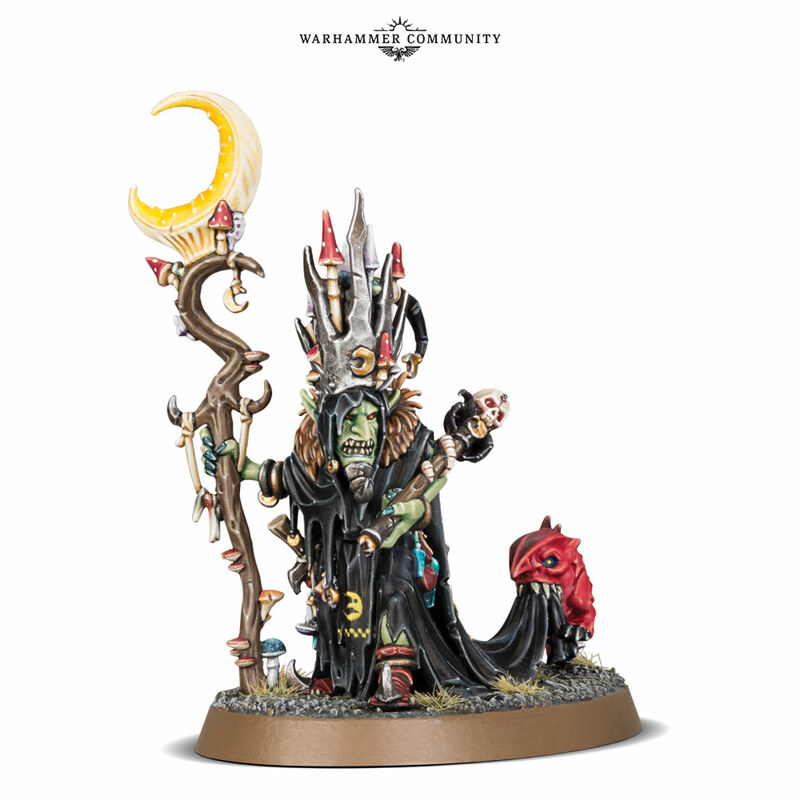 I'm not a particularly big gobo man, but I do like the look of the models. I like that they've stayed fairly traditional like that. 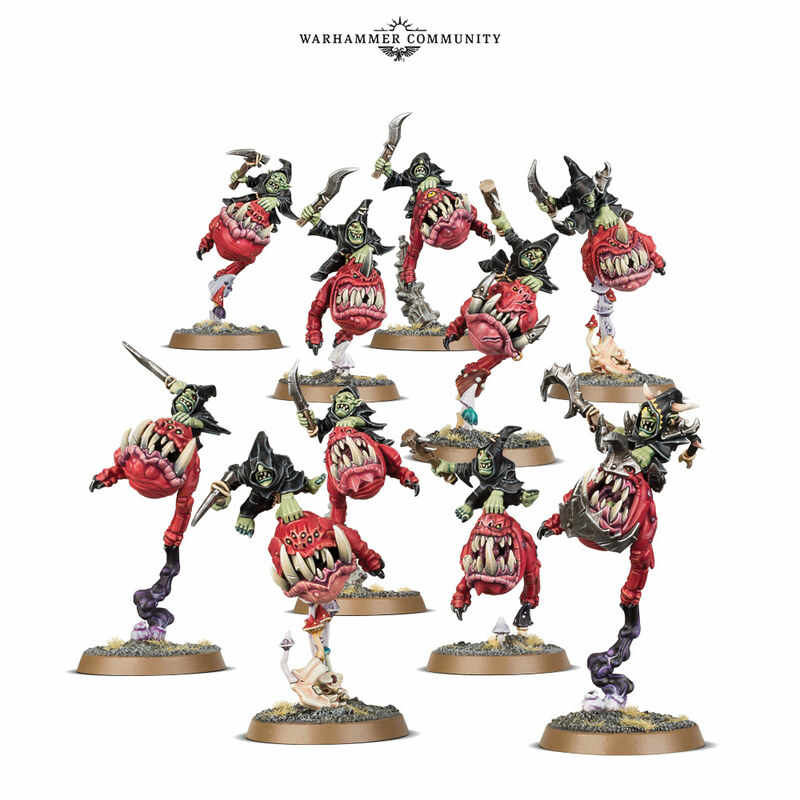 I think that I will aim to give the gobbos a bit more of an earthly olive skin tone. 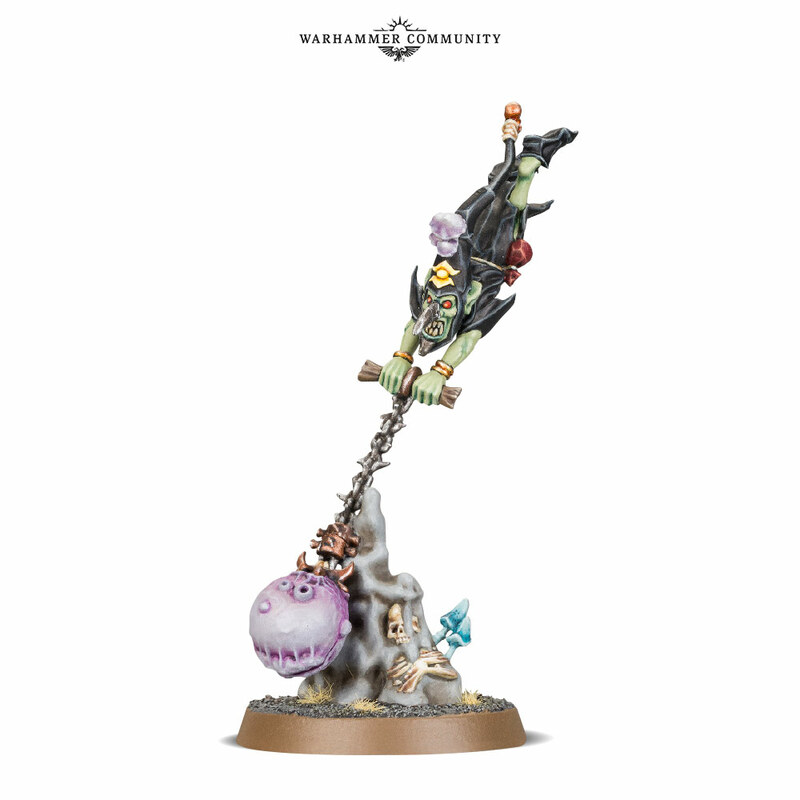 I'm considering basing the old Skull Pass warboss on a large base decorated with half eaten bits and playing it as the Skarsnik variant. I like the sounds of that. 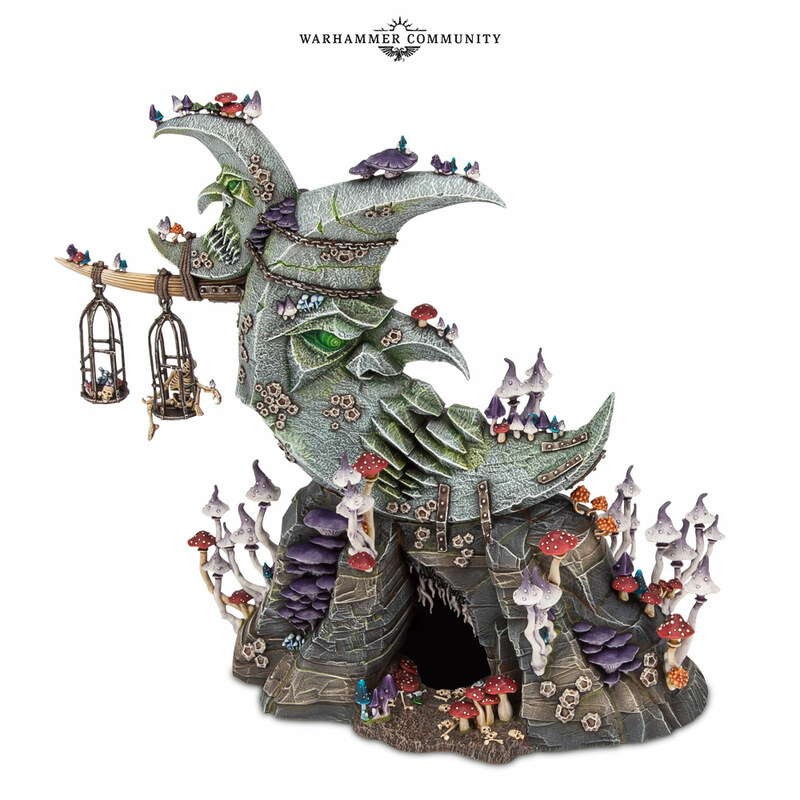 The squig might be a bit on the small side, but I remember Monty Pythons Holy Grail and the true danger of small critters. I'll put him on a mound. Also, a large reveal of minis, which also includes new Stone Trolls and a Troll Boss. I really do like those trolls actually. I'm a big fan of the old metal ones and I'd certainly keep them separate, but these are nice to. I think these guys look great. I don't think I'd ever use them in an army, maybe as wizards, but I'd use them as stuff in RPG games or dioramas. There's not really anything in this wave that I would say that I dislike. I'm also pleased with how the Stone Trolls turned out. 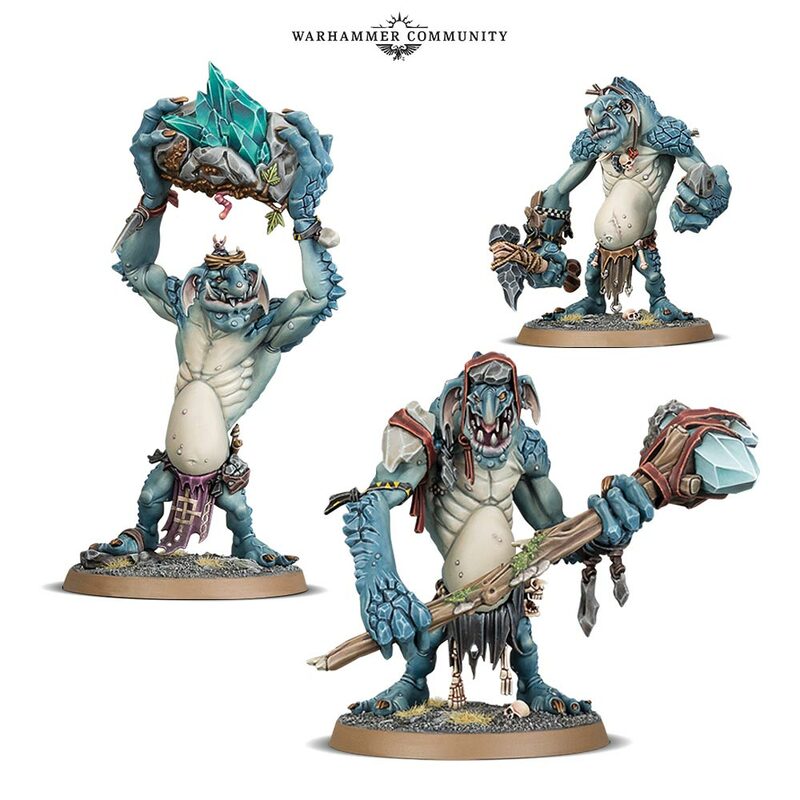 I will definitely get a bunch of trolls for my army. Quite creative designs. Very well painted, but too comical for my taste. Looks more and more like something out of a Warcraft video game and those aesthetics I very much dislike. With every new release my interest in seeing what they will do with humans in this new fantasy world declines even further.